Stained Glass Soccer Medal | Free Engraving! 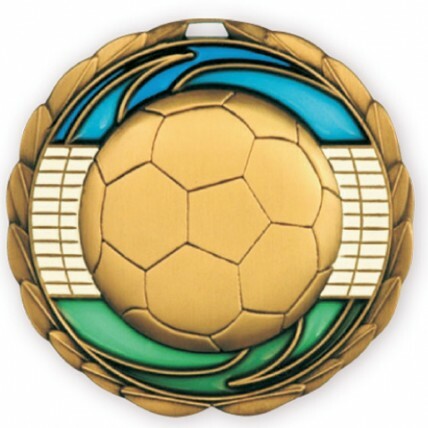 Our Soccer Stained Glass Medal features a large soccer ball with a blue, white, and green background! 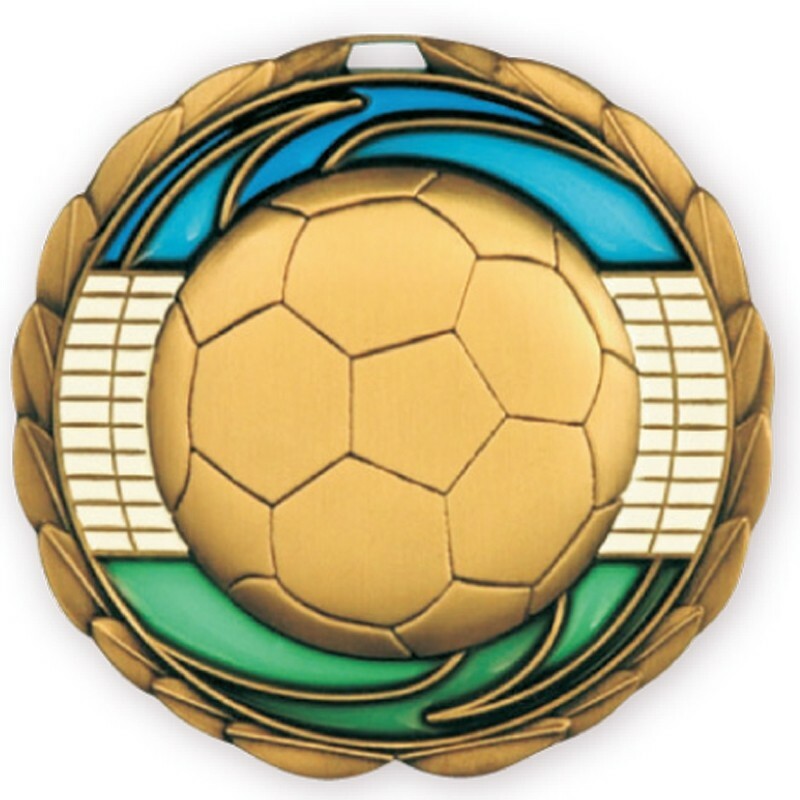 Made of a hard translucent plastic, this simulated stained glass feature makes these soccer medals a popular choice with a large 2-1/2" diameter, a great value! 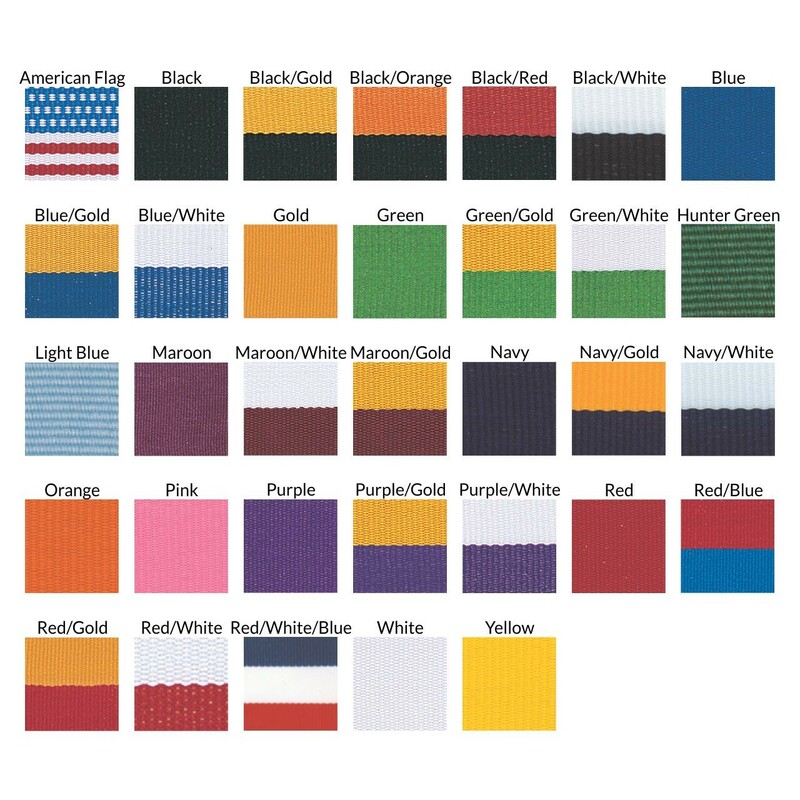 Choose a neck drape color to match your team colors or to highlight the blue and green accents of the stain glass soccer medal. We will engrave up to 3 lines of your custom text on the reverse side at no extra charge. Your choice of gold or silver.